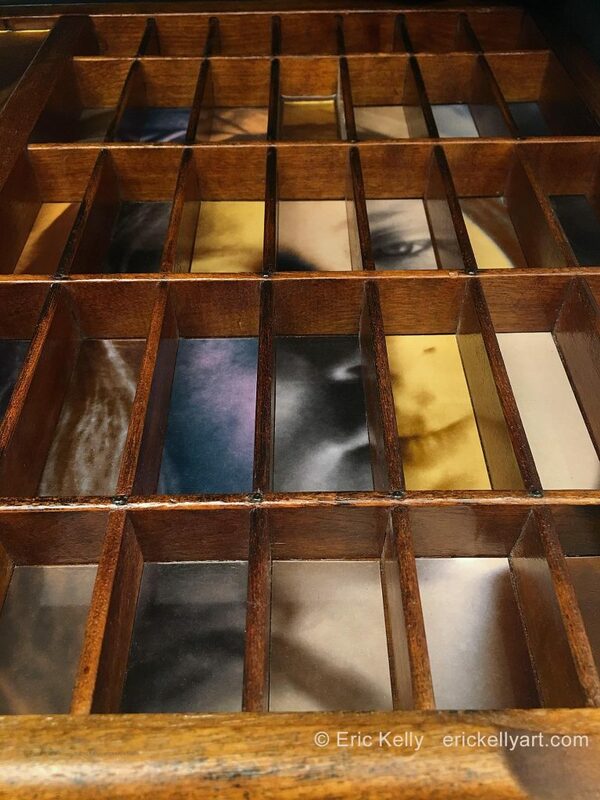 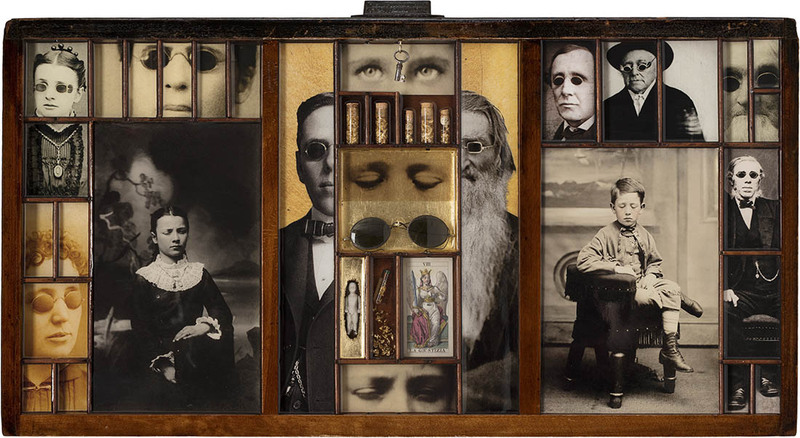 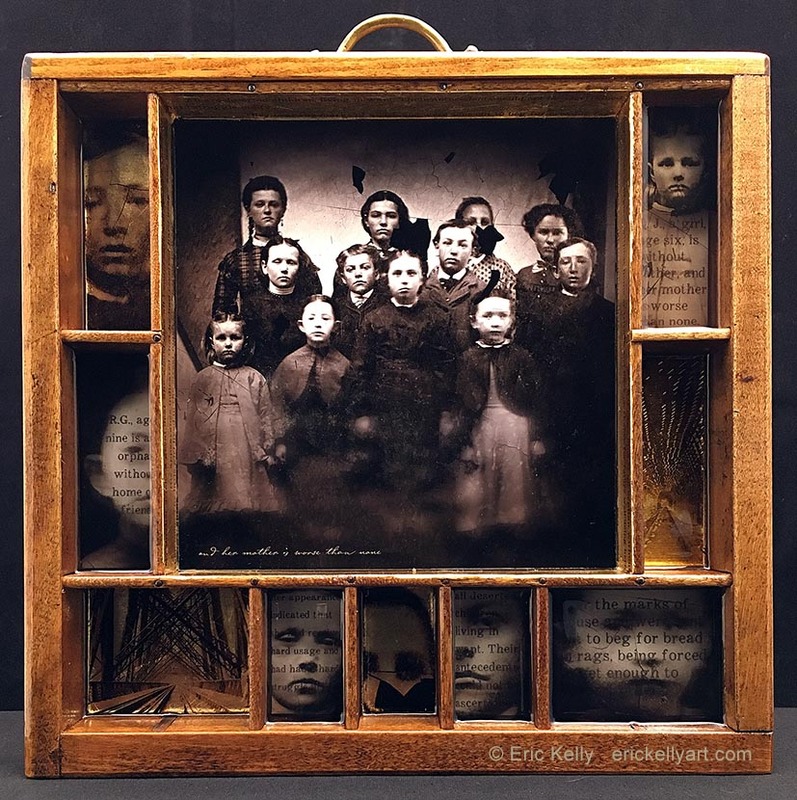 Antique printer trays transformed with photographic imagery, metal leaf, resin and found objects. 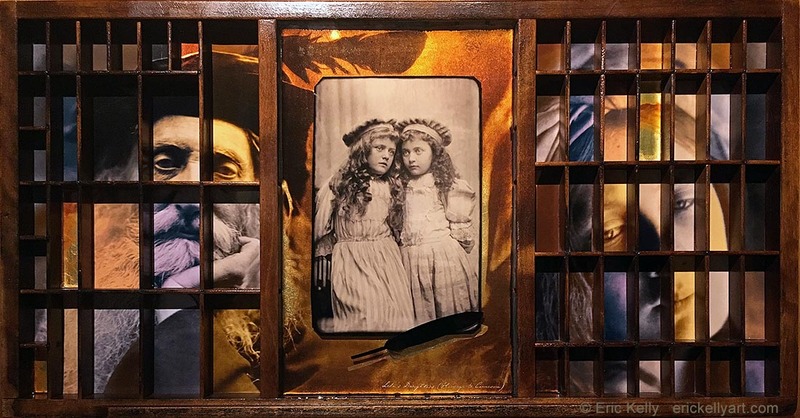 Original Photos: Various found images of the blind: Tintypes, Cartes de Visites, and Cabinet Photos, c. 1860 – 1910. 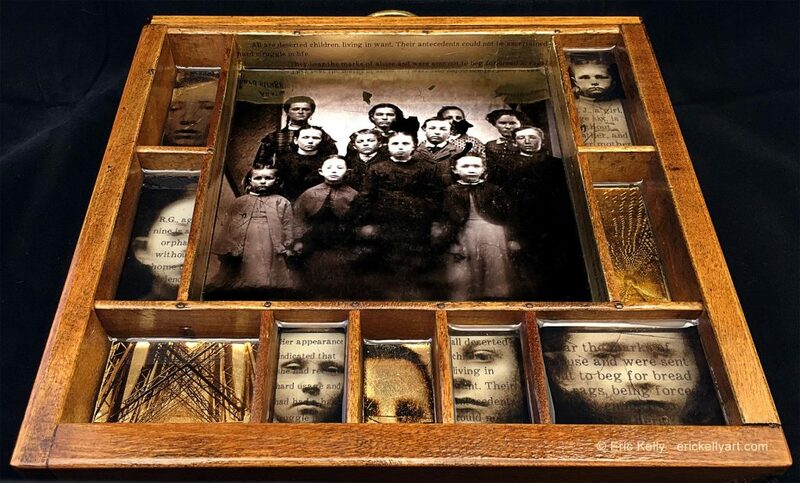 Original Photo: Tintype, c. 1870. Original Photos: (left panel) Albumen Photograph, Julia Margaret Cameron, “Henry Taylor”, October 10, 1867; (right panel) Albumen Photograph, Julia Margaret Cameron, “Beatrice”, 1866; (center) Tintype, c. 1880.